The arrival of a new kitten is a very special and exciting moment for the whole family, except perhaps your current cat. 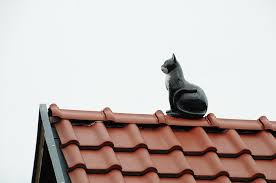 Even if your cat is sociable and easygoing, it remains a cat and is therefore instinctively very territorial and well aware of its place on the social scale. Adding a cute little hairball to his environment can potentially trigger all sorts of negative reactions on his part. Jealousy is the main feeling that fills the little heart, for the newcomer suddenly attracts all attention. Feeling embarrassed, as cats are renowned for being very picky about the cleanliness of their litter. Aggression and bad mood can appear on your cat, because the little nosy kitten is facing him every moment. However, with a bit of anticipation, psychology and attention, you can help to make the presentation process less stressful for your pet. You will build a solid foundation of understanding and friendship in this new family of several cats. If you can, bring a new kitten to your house, take a toy or a blanket that you bring from the breeder or the pet shop where you buy the kitten, Permeates the smell of the newcomer. Then, leave this object at various places in your home so that your cat gradually get used to this familiar odor. Thus, during their first meeting he will recognize this smell as non-threatening. Prepare a separate room (perhaps the guest room or laundry room) for the new kitten to occupy for the first few days and install his own mess and toy boxes and sleeping area. No worries, this situation will only be temporary. On the day of the kitten's arrival, leave your current cat in a separate room, surrounded by its favorite objects. Bring the new kitten into the house, have him take a little tour of the owner to start the acclimatization process and install him in his own room. You can now let your cat out of his room (while making sure that the kitten is well away). Let him feel your hands, imprinted with the smell of the kitten, and give him treats to comfort him and create a positive association between this new smell and the good things. Gradually introduce the smell of the kitten into your home on the first days by interchanging the bowls and the beds. Once they are both comfortable with the smell of the other, allow them to explore the territory of the other alone, while keeping them separate. The best time for a first encounter is the time of the meal, where the desire to eat passes over any other distraction. As they meet for the first time, expect a few rumblings and whistles; it is normal they simply establish their place within the hierarchy. Nevertheless, be prepared to separate them with a blanket, in case the meal degenerates into a fight. But normally at this stage of the presentations and thanks to your previous preparations, they should find out how to coexist a few minutes at the time of the meal. Immediately after this first meal together, separate them again and leave them until the next meal, gradually increasing the time they spend together. Share the treats, affection and attention equally during the time spent together, not only to create positive associations but also to show them that there is no favoritism. Remember that as a "clan leader" it is not your responsibility to intervene or judge which of the two should be considered "the best", they will determine this in their natural way. You just have to be careful to remain impartial and fair in all aspects. Everyone loves small cute kittens and being caring for the new baby of the family is an integral part of the happiness of having a second cat. By presenting the two protagonists in a calm and progressive way, in the establishment the foundations of a respectful partnership between the old cat and the youngest, and sharing equally the love you give them, you will have even more love in return on both parts.